Nehru was nicknamed Pandit, meaning Teacher. 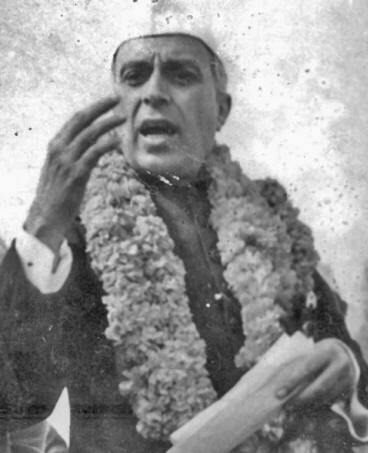 Jawaharlal Nehru was the first prime minister of India after the country gained independence on August 15, 1947. He served as such from 1947 to 1964. On August 14, 1947, Nehru delivered his A Tryst with Destiny speech before the Constituent Assembly in New Delhi. A tryst, by the way, is according to dictionary, an appointment to meet. On January 30, 1948, Mohandas Gandhi was assassinated. Later that evening, Nehru gave his radio speech The Light Has Gone Out of Our Lives. Nehru's wife was Kamala Nehru. The two had one child, Indira Gandhi.